Don Woodard creates commissioned works of art for commercial projects, offices or homes, as well as fundraising events. You may commission a work-of-art for either a large commercial project, or simply for your home or office. The 3-Dimensional Paintings and Relief Wood Sculptures are designed to hang on the wall, same as a traditional painting. However, they may also be inserted into coffee tables, used as cabinet door inlays, mounted to fireplace mantels, displayed under counter or bar tops, mounted to furniture or wherever else your mind can imagine. We don’t recommend mounting our Original works-of-art outdoors. Don Woodard is an artist with a unique ability to create by hand, very detailed, 3-Dimensional Paintings and Relief Wood Sculptures of scenes, landscapes, people and wildlife. He creates commissioned work-of-art for commercial projects, homes, offices and commercial buildings. Don Woodard is open to the idea of helping you raise money for 501(c)(3) organizations. 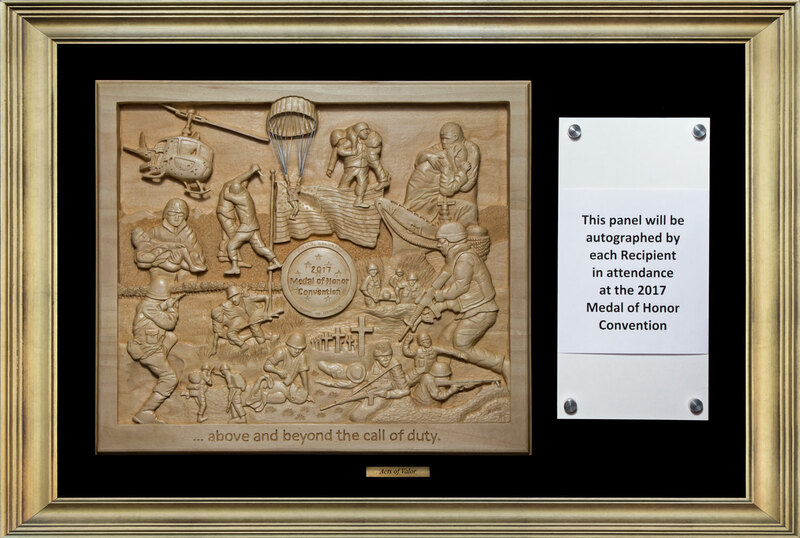 Once selected, Don will work with you to create either a custom Relief Wood Sculpture or 3-Dimensional Painting for your organization to sell or auction at an event. Although every cause cannot be selected due to time constraints, Don will review every proposal.